Mozambique is a country in south-east Africa, a former Portuguese colony. Mozambique became an independent state since 1975. This beautiful country is located on the Indian Ocean coast, opposite the island of Madagascar. 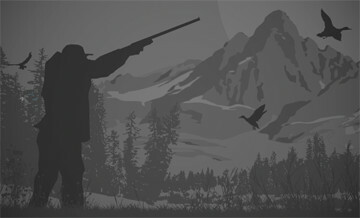 Hunting areas occupy a significant part of the territory of country. After years of civil war and internal strife Mozambique is open for trophy hunters, and other adventurers. Hunting in Mozambique is real adventure: just imagine kilometers of open space and you have to look for a prey, to stalk, to fight. The fauna of the country is very rich. Mozambique is a home for antelopes. It’s worth noting one of the most beautiful trophies of Africa – Sable antelope, it inhabits almost the entire territory of Mozambique. Hunting in Mozambique gives a chance to hunt on animals of the Big Four. Prices for hunting in Mozambique vary; you can choose a hunt that is affordable for you. Hunting trips to Mozambique, the pearl of Africa, are always full of adventures and give you a chance to have stories to tell your friends about your travel to such a colourful country. Elephant, buffalo, leopard, crocodile, hippopotamus – it’s not a full list of animals you can hunt on in Mozambique! Make yourself a gift – a trip to Mozambique! Experience wild power, accept the challenge, fight and win! Hunting in Mozambique is waiting for you! We offer classic Mozambique hunting safaris for buffalo, leopard, elephant, lion and plains game on over 600,000 acres of some of the finest big game hunting country on the continent. This part of Africa is legendary for outstanding hunting. If you want an authentic Mozambique hunting safari for in one of the wildest and most untamed parts of Africa, then this hunt is for you! Our hunts are conducted out of a traditional tented camp in the remote country situated along the Southern shores of lake Cahora Bassa in Tete Province, that extends out to meet with the Zimbabwe Border. This is truly wild Africa in all of its savage beauty. Our area is prime habitat, mopane forest, high kopjies a lake and rivers resulting in lots of game in the area. You’ll hunt on foot in the thick brush that covers the hunting area and experience the incredible adrenaline rush of approaching at close range before taking your shot, there is plenty of opportunity to take great trophies when hunting with us. Our prices are a flat rate price, we do not believe in hidden costs. All of our hunting packages include all expenses associated with the hunt except those specified. 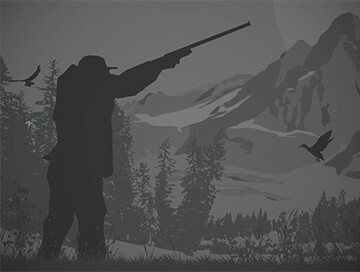 Hunters may add additional trophies for an additional price. If you are looking for the hunt of a lifetime, and your wish is to hunt dangerous and plains game alike in their natural environment, then our concessions are the destination of choice in Tete Province. You may hunt buffalo, elephant, hippo, crocodile, lion, leopard, kudu, chobe bushbuck, sharps grysbok, impala, duiker, reedbuck, hyena, warthog, baboon and bushpig – to name but a few. Our campfire will always be burning, and our bar and dining area abound with plentiful snacks, warm high quality meals and ice cold drink, Mozambique offers some of the last truly wild areas left in Africa, come and join us! If you are looking for the hunt of a lifetime, and your wish is to hunt dangerous and plains game alike in their natural environment, then here is the destination of choice. You can pursue buffalo, elephant, hippo, crocodile, lion, leopard, kudu, chobe bushbuck, sharps grysbok, impala, duiker, reedbuck, hyena, warthog, baboon and bushpig – to name but a few. In this remote part of Mozambique, we offer hunting excursions from May to November, however some areas are too wet to hunt before June or July. After a full day`s hunting whilst taking in the breathtaking landscape and following hippo and crocodile through the reed islands, lagoons and backwaters, you will welcome the comforts of the lodge. The campfire will be burning, with plentiful snacks and ice cold drinks on offer. Fully guided 2 on 1 7 Hunting Days, all inclusive Exceptional trophy quality $ 9850 per hunter Excludes rifle import/hire and road transfer to and from Tete.